an inconvenience to suburban time. effective and functional members of society. James Parkinson recently completed a Bachelor of Fine Art (Honours) at the Victorian College of the Arts in 2016. 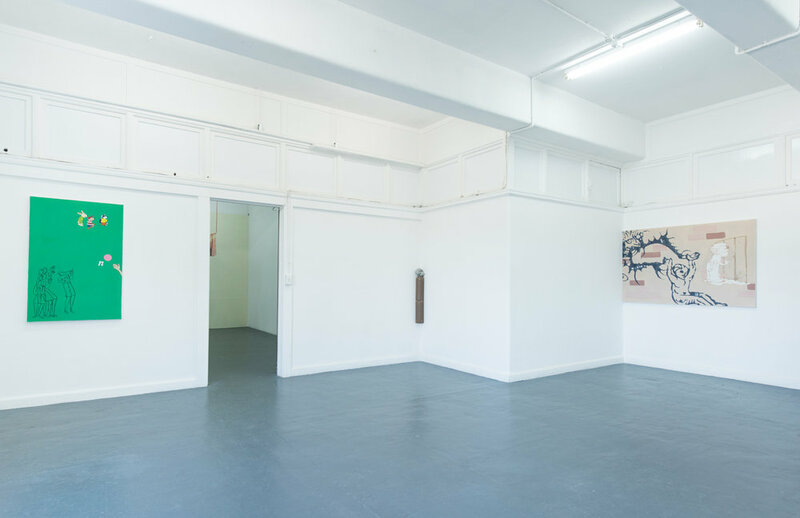 James’ practice operates primarily within painting and sculpture. His most recent solo projects being Attachment and Control (After You) at Bus Projects in 2016 and RIP Angel (She Fell From Heaven and Landed in Our Hearts) at Kings Ari also in 2016. Images | James Parkinson, Not Again…… Yes Again, 2016, oil on canvas, 120cm x 71cm (detail); James Parkinson, Not Again…… Yes Again, 2016, oil on canvas, 120cm x 71cm (detail); James Parkinson, Not Again…… Yes Again, 2016, oil on canvas, 120cm x 71cm (detail).